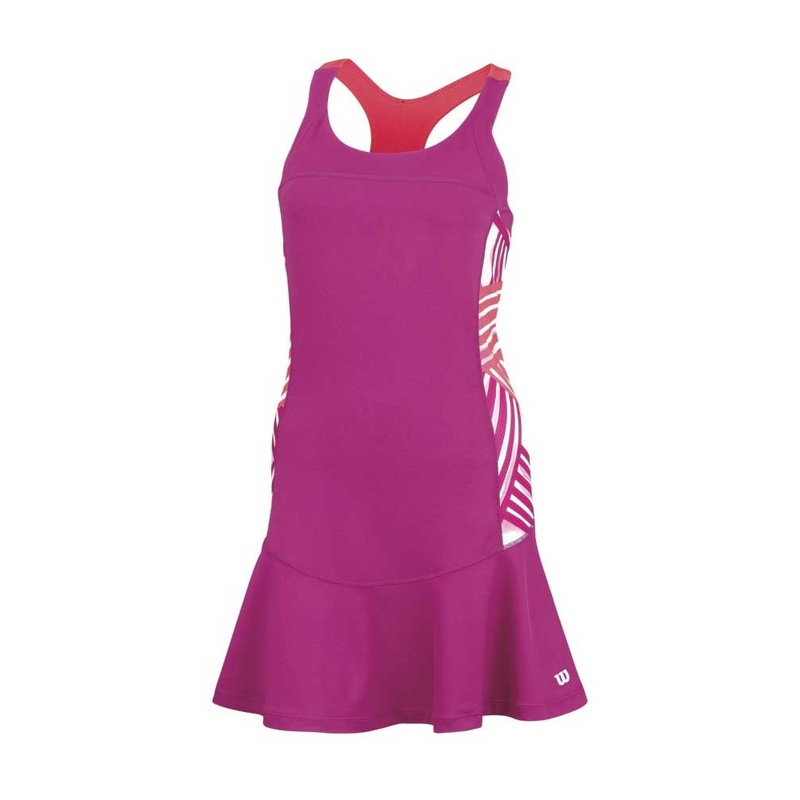 This Wilson womens watercolour racerback dress from their 2015 range. 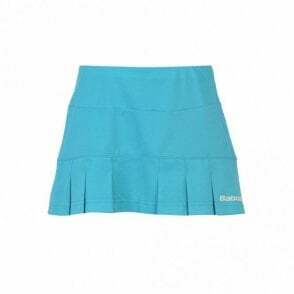 This dress is an athletic fit, body-conscious racerback mid-thigh length dress. 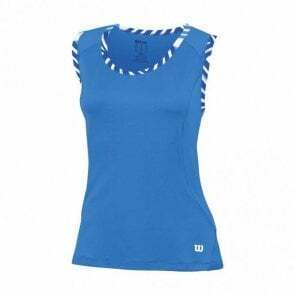 There are watercolour printed mesh on side panels and it features nanoWik moisture movement technology for ultimate comfort. There is also a built-in moulded bra for support and modesty, as well as contrast colourblocked racerback straps. Wilson Watercolour Racerback Dress in Fiesta Pink colour, designed as sports clothing whatever your sport such as tennis, badminton, squash or racketball.